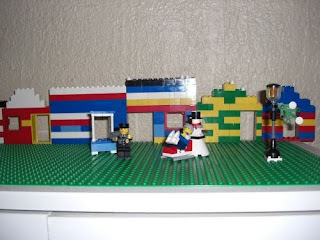 Hearing of the accident, a member of the Lego PD showed up to help. Currently he's holding back the traffic while the snowman pushes Todd back to the skate rental booth. I think Todd has had enough of those skates for one season.